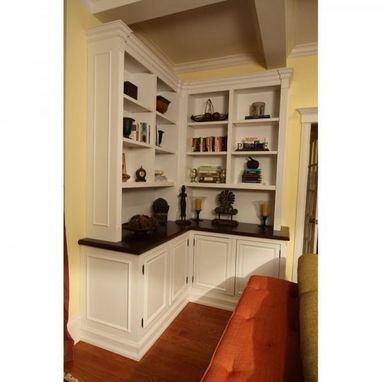 This is a custom corner unit painted white with a stained cherry top. This unit was designed for display as well as a place to store stereo components. The unit also has pull out drawers for the clients music collection.